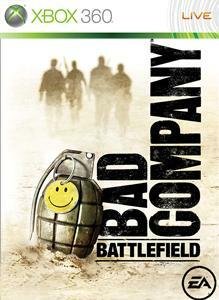 Battlefield: Bad Company follows a wayward band of ordinary soldiers who decide that sometimes the gratitude of a nation just isn't enough. Featuring a dramatic storyline loaded with a unique attitude, the game delivers the series' trademark sandbox gameplay in a universe where almost everything is destructible. The game also features the all new, objective based multiplayer game mode "Gold Rush".